Photo top left: Campfire and Moon © Flickr user Ed Dunens under Creative Commons. 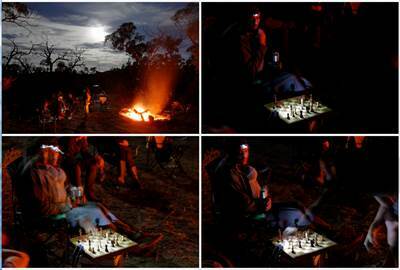 Campfire and moon and chess game in progress. Other photos: 'Pondering', 'The Move', and 'The Reply'.